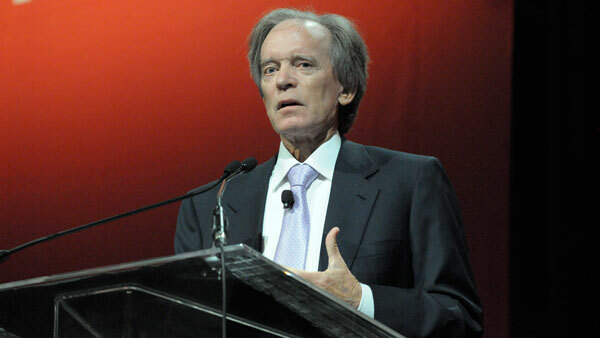 Bill Gross may be getting the ultimate vote of confidence from none other than Bill Gross. The majority of money gathered by Gross’s new fund at Janus Capital Group Inc. came from the same Morgan Stanley brokerage where his personal financial adviser works, according to The Wall Street Journal. The wealth-management office in La Jolla, California, routed about $700 million to Gross’s fund in October and November, the newspaper said Wednesday, citing confidential brokerage data viewed by executives. The report didn’t say how much of the money came from Gross himself. Gross has a history of putting his own money into the funds he manages, a move that can be seen as a vote of confidence in his strategy and help attract bigger investors. The Janus Global Unconstrained Bond Fund, which Gross has run since Oct. 6, expanded to $1.2 billion in assets as of Nov. 28, from $13 million before he joined Janus, according to data compiled by Bloomberg. Investors could also benefit from a stable asset base, he said. Steven Shapiro, a spokesman for Janus with Communications Strategy Group, didn’t return e-mails seeking comment. Margaret Draper, a spokeswoman for New York-based Morgan Stanley, declined to comment on the report. Gross ran the world’s biggest bond fund, the $143.4 billion Pimco Total Return Fund, at Pacific Investment Management Co., the $1.87 trillion firm he co-founded in 1971, before abruptly departing for Denver-based Janus on Sept. 26. As of March 31, he had more than $1 million invested in that fund, according to a filing with the U.S. Securities and Exchange Commission. In May and June, Gross poured almost $60 million of his own wealth into Pimco’s closed-end funds, bringing his total holdings of such funds to almost $200 million, according to data compiled by Bloomberg last year. Janus, which is struggling to reverse years of investor defections, is relying on Gross to help stem redemptions. A strategy similar to the Unconstrained fund won a $500 million mandate from Quantum Partners LP, a private vehicle managed by George Soros’s Soros Fund Management. The fourth quarter may be the first in which Janus clients are adding money on a net basis after 21 quarters of withdrawals. Gross so far has only attracted a fraction of the billions that clients withdrew from Pimco after his departure. The Pimco Total Return Fund had the worst year of redemptions in the history of fund management in 2014, with investors pulling a record $105 billion, according to data compiled by Bloomberg using information from Newport Beach, California-based Pimco and Morningstar Inc. The fund’s assets are less than half their April 2013 peak of $293 billion. The relative small size of Gross’s new vehicle at Janus allows more flexibility than the bigger funds at Pimco, he said in a Bloomberg Surveillance interview with Tom Keene last month. The Janus Unconstrained fund lost 1.1 percent in the past three months as of Jan. 6, beating 51 percent of similar funds, according to Morningstar data. “I do believe in and invest in Janus Global Unconstrained Bond Fund!” Gross wrote yesterday in a post on Twitter.